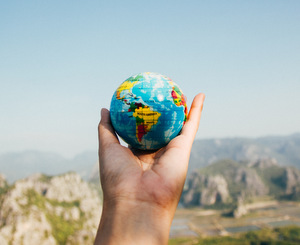 Avoir is one of the two most important French verbs (être is the other one) and has irregular conjugations in just about every tense and mood. Avoir literally means "to have," but also serves an an auxiliary verb and is found in many idiomatic expressions. J’ai une voiture bleue. I have a blue car. As-tu un numéro portable ? Do you have a cell phone number? J’ai mal au dos. I have a backache. Il a la grippe. He has the flu. J’ai été eu. I’ve been had. Je t’ai bien eu ! I got you! 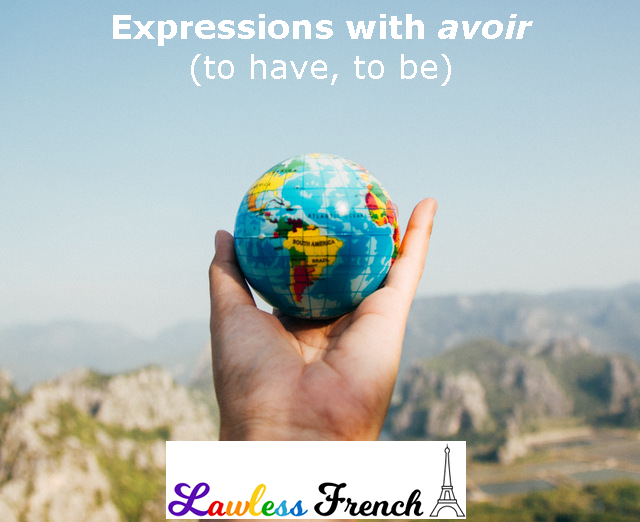 For the vast majority of French verbs, avoir serves as the auxiliary verb in the compound tenses and moods. Nous avons déjà mangé. We’ve already eaten. Auras-tu fini avant midi ? Will you have finished before noon? S’il avait vendu la voiture, il vous aurez remboursé. If he’d sold the car, he would have reimbursed you. 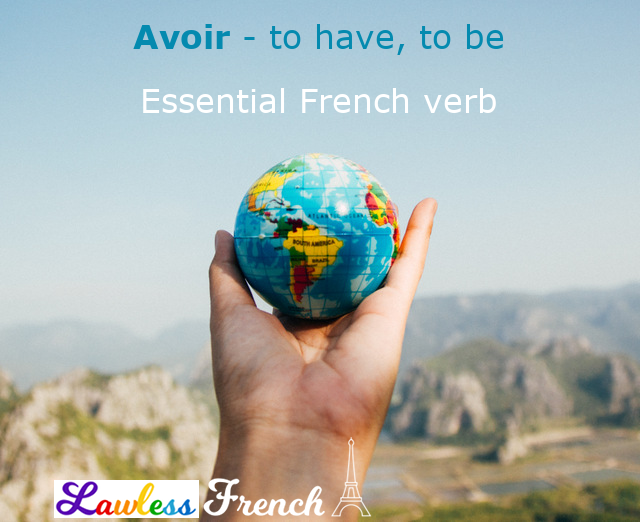 In more than a dozen common phrases, avoir is equivalent to "be" in English.